Calpains are a family of calcium-dependent intracellular cysteine proteases that regulate important physiological processes by substrate cleavage. Despite the fact that the role of calpains in cell migration and other processes has been extensively studied in vitro, the same does not apply to cell migration and morphogenetic events during embryogenesis, in vivo. 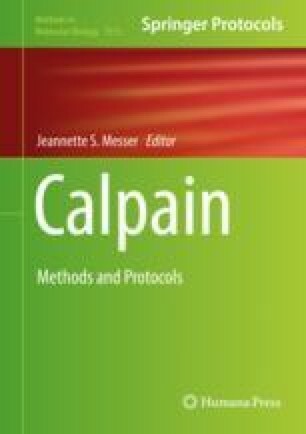 Herein, we describe the use of three different methods to selectively block calpain activity in vivo in order to investigate the impact on Xenopus gastrulation and neurulation, namely, a calpain inhibitor, a dominant negative, and a morpholino antisense oligonucleotide (MO). We also provide methods to determine the effectiveness of the calpain inhibition and effect on cell fate specification and morphogenetic movements, during embryogenesis in vivo. Ioanna Antoniades and Anna Charalambous contributed equally to this work.